This week Platfarm co-founder Oli Madgett joined innovators and farmers from across the globe for Global Forum for Innovations in Agriculture (GFIA) in Focus event in Brisbane. As a speaker and showcase innovator it was an honour for Platfarm to stand alongside the worlds best. GFIA in Focus supports the Australian Government’s ambition to make agriculture a $100 billion industry by 2030. 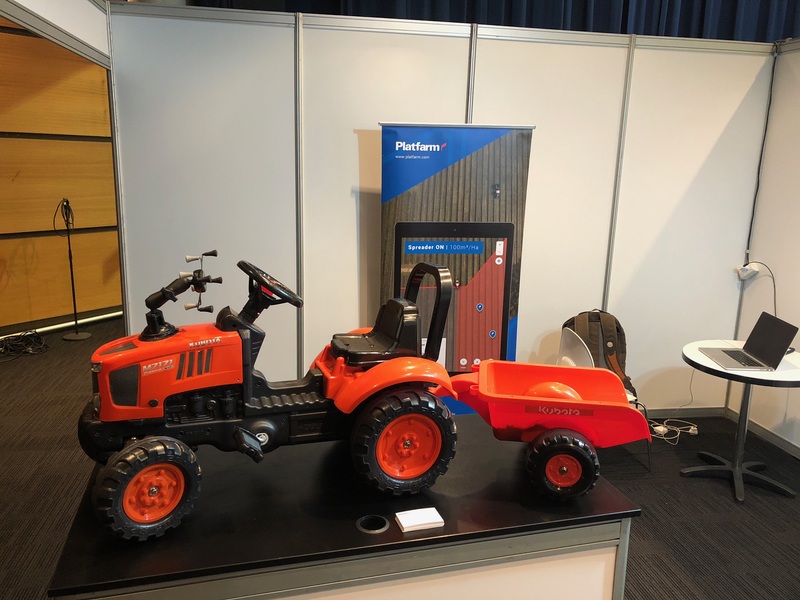 The event showcased hundreds of innovations to help Australian farmers and agribusinesses improve the sustainability and sophistication of their food production business. Precision agriculture and smart farming is key to achieving the aims of governments across the world; like the Queensland government who want to double agricultural output in the State by 2040. Not just that, Queensland also want the industry to aim to be carbon neutral by 2050. So, increase yield and minimise the impact on the environment? Lofty goals. It’s clear that success will only come from maximising impact from all inputs and ensuring farms are responsive to opportunity, threats and maximise growing potential. Farmer’s don’t want to deal with fluff and hype from their tech. As a grape grower supplying to the best in world Oli has been able to work closely with partner Andrew to ensure that Platfarm delivers. Precision agriculture and smart farming only deliver when they provide growers and farmers a utility that is accurate enough for the specifics on their farm. Many applications and technologies still have a long way to go, especially when it comes to ease of use for contractors. As well as inspiration there was a fair share of socialising and networking. Those of us in farming know that success comes from community and the working relationships we build. It’s no different in Agtech. GFIA in Focus was a great opportunity for us to connect with a range of current and future partners and ecosystem contributors from across the world.